I am not telling you, the reader, what to imagine, your imagination has many options of possibilities to choose from. I am not limiting this awareness to any region or governing body, this crisis is worldwide. Will you imagine great problems or great opportunity for alternatives and solutions? Will you imagine chaos and destruction with a massive loss of life? Will you imagine yourself joining a war? Will you imagine yourself in public protest in front of institutional offices? Will you imagine yourself begging government for emergency assistance? Will you imagine yourself at home boycotting institutions and their sponsors? Will you imagine yourself off-grid living? Will you imagine yourself connecting to creative individuals to assist in implementing a resilient alternative community? Will you imagine something else? Use your imagination and know that you are not limited to past movies and storybook scripts of doom or utopia. Hollywood movies, Mass Media News, School Textbooks, nor can institutional officials in governments and banks, and religions limit your creative imagination for the life you wish to live. I do not know when this massive wave of knowledge and awareness will occur, as some individuals have a faith in institutional authority (“it’s the law”) without awareness of their faith and without a reason other than indoctrination and habit. I have read stories of some soldiers only learning that the war ended many years after, as they faithfully remained in their obedient soldier role. Obviously, a lesson from the past shows that not everyone will become aware and some individuals will reject truth in a futile attempt to cling to false beliefs. We can move forward with the People who are aware and wish to apply their problem solving skills to manifest healing and creative freedom for all to prosper. We can abandon that old institutional script from history (his-story), which is a repetitive drama & tragedy control meme. With imagination comes creative energy with a focus on alternatives and solutions. In this light, opportunities for something better are present. My wish is that communication technology will assist in our spreading awareness. We can share our knowledge. We can share our vision. We can Amplify our creativity and innovation. Sharing Awareness, Knowledge, Imagination and Focus allows Solutions to be present. The path of civilization and geopolitics are not complex concepts. You are literally born into mind control and an illusion of Reality. Discussions of the deception and Truth is becoming more common. The bottom line is Armed Coercion by government to obey criminals, deceivers, and psychopaths as they set the rules (laws) and policies. The People are programmed to become Prisoners, and Slaves as the rights of the Individual are destroyed. 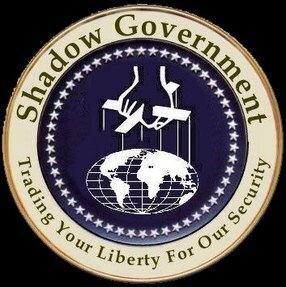 It goes by many names: The shadow government. The deep state. The secret team. Whatever it is called, the idea is simple: there is an unelected, unaccountable, largely unknown group behind the facade of the visible government that wields power and works toward long-term agenda goals no matter which political party or puppet politician holds office. Long the domain of the dreaded “conspiracy theorist” community, the idea has surfaced here and there over the years. The JFK assassination has given rise to many inside accounts and outside exposés of The Secret Team. The Iran-Contra scandal led to a Bill Moyers documentary on The Secret Government that is still worth watching 19 years later. It was even openly acknowledged that a “shadow government” had kicked into operation on 9/11. 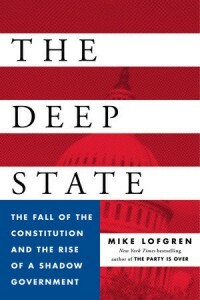 But an odd phenomenon has taken place in recent years and intensified in recent months: the idea of a “deep state” or a “shadow government” controlling politics, even in the US, is becoming mainstream. It has found its way into the online political media from both the left (Salon) and the right (The American Conservative) ends of the controlled political spectrum. 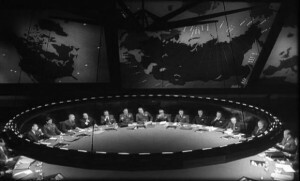 It has been invoked by mainstream financial analysts to describe the actions of the Federal Reserve. It has been revisited by Bill Moyers on his website. It has found its way into the headlines of The Boston Globe (“Vote all you want. The secret government won’t change“) and the New York Times (“America’s ‘Establishment’ Has Embraced ‘Deep States’“). Heck, it has even been talked about on the World Bank’s blog. This onslaught of attention begs the question: why now? Why are so many mainstream outlets suddenly shining a light on something that has barely been acknowledged in the past? To be sure, some of this recent coverage is a whitewash, as you would expect. The World Bank blog, for instance, pawns the concept off as something to be found in “newish democracies” in “Latin America, Africa, Asia, Eastern Europe and so on,” i.e., not in the West. This qualification–that the “deep state” idea is something only to be found in foreign, backwards polities–harkens back to the origins of the phrase. The term “deep state” itself is a translation of a Turkish phrase, derin devlet, that rose to prominence after the Susurluk incident exposed the Turkish secret government and its NATO/Gladio/drug running/terrorist associations. It has become increasingly allowable for opinion makers in the MSM to cite the Turkish or the Egyptian “deep state” as a real phenomenon (or at least a real possibility) while simultaneously deriding the possibility that it exists in the West. However in recent years researchers like Peter Dale Scott have developed and expanded the concept to explain how Western political institutions function. This seems to have been picked up by people like Mike Lofgren, a retired Congressional staffer who has described how the American deep state involves a cross-party consensus on key political issues, or Philip Giraldi, the former intelligence agent whose recent musings on the American deep state received copious attention from the mainstream press. One way to look at this development is as an extension of a phenomenon that I noted several years ago: a process of indoctrination that has begun to inform the public that there is a shadowy elite in control of the world stage and prepare them to accept that fact. Nearly a decade ago Kissinger mini-me David Rothkopf came out with his book “Superclass” revealing the group of 6,000 or so non-state actors with the ability to enact policies and further agendas across state lines. Since that time a remarkable number of conspiracies-that-dare-not-be-mentioned from the CFR to the Bilderberg Group to the Bohemian Grove are now banal political talking points. Whereas mainstream radio hosts once played Twilight Zone music when callers tried to discuss the CFR, now Hillary Clinton blithely admits that the State Department receives marching orders from them; whereas the Bilderberg Group was once subject to a complete media blackout, it now has its own website and press releases. Partly this has to be due to the fact that in the post-9/11, post-Iraq, post-bailout, post-Hope and Change world, it has become impossible to maintain the illusion that it is the political front men who are running the show. No one believes this lie anymore, and it shows. Even scientific studies are now demonstrating that the United States is not run by political parties but by pockets of special interest. Truly the conspiracy toothpaste is out of the tube and there’s no point in trying to put it back. While in many ways this represents the crowning achievement of the tireless efforts of generations of conspiracy researchers who have toiled in relative obscurity, it is not an unmitigated good. As we will see in the 2016 prospective this weekend, the revelation of the ruling elite coincides with a meltdown of social cohesion that is giving rise to dark forces that portend a very tumultuous year. In the meantime, I’m interested in your thoughts on this subject. Why do you think the “deep state” idea is being taken up in the mainstream now? Do you think there is a strategy to these revelations or is it a rearguard effort to whitewash the undeniable? Corbett Report members are invited to leave your comments below. Based on opinion polls, 70-80% of Americans know about America’s crisis in government. I think most of them still think it can be fixed or are at a loss what to do about it. Much has been written about how standard education culls imagination. The 21st century has a growing minority that questions all that is taught via institutions; their imaginations are very active with discovery and alternatives. *Currency fluctuations can wreck havoc. *Will the 2016 Olympics be interrupted? Is this the end of the Olympics? *What path will social unrest take if workers are laid off, and utilities are shut-off? Title: REALIST NEWS – 2016 Olympics – Brazil Can’t Pay Electric Bill – John Titor No Olympics? One of the greatest claims for trusting government is protection. Governments claims to have the public safety as priority, yet regulatory agencies are failing worldwide to police hazardous industries, such as Nuclear waste, chemical plants, geoengineering, bioengineering/GMO foods, etc. Shipping Said to Have Ceased… Is the Worldwide Economy Grinding to a Halt? Russia’s Huge Move: Launched it’s own Oil Futures Benchmark! The video below is of poor quality. Listen to what is being said, and then listen it to again. This criminal [Richard Fisher] is telling you, flat out, that a massive wealth transfer is taking place and whatever funds are in the stock market, well, they will belong to someone else and no longer be part of your 401k, IRA or private pension plan. You have been warned by the criminal that instigated the theft. They are playing GOD and unwilling to give that up! Imagine the removal of psychopaths and their deceptive institutions. Remove the departments of War now marketed as defense. Imagine the removal of spy agencies and mass surveillance. Imagine the removal of money as debt and its mandatory taxation system. Your language usage is either empowering the bad spells or dispelling the bad spells. The saviour was never external. Go within, we are a powerhouse of creative energy. The change begins from within. FLINT the U.S. city with poison tap water! Thanks to lozzafun1.wordpress.com for sharing this update! FLINT – A coalition of local citizens and national groups filed suit today to ask a federal court to step in and secure access to safe drinking water for the people of Flint, Michigan. Alleging violations of the federal Safe Drinking Water Act, the complaint was filed in the U.S. District Court for the Eastern District of Michigan by the ACLU of Michigan, the Natural Resources Defense Council, Concerned Pastors for Social Action and Flint resident Melissa Mays. Donate to the ACLU as we continue the fight to protect the rights of Flint’s residents—and defend all our crucial freedoms. The lawsuit asks a federal court to compel the city and state officials to follow federal requirements for testing and treating water to control for lead and to order the prompt replacement of all lead water pipes at no cost to Flint residents. The groups and Ms. Mays also seek appropriate relief to remedy the health and medical harms to Flint residents from the lead contamination. The lawsuit is not seeking monetary damages. “The water in Flint is still not safe to drink because City and State officials are violating the federal law that protects drinking water. In doing so, they are exposing the people of Flint to lead, a powerful toxin that can be devastating to young children. We are asking a federal court to step in because the people of Flint simply cannot rely on the same government agencies that oversaw the destruction of its infrastructure and contamination of its water to address this crisis,” said Dimple Chaudhary, Senior Attorney with the Natural Resources Defense Council. “Everyone in this country deserves and expects safe drinking water, regardless of your race, economic status or zip code. The residents of Flint were stripped of their democratically elected authority and, in the name of saving a few dollars, have been forced to sacrifice their health in the process. This community deserves accountability, transparency, and justice, in addition to water that is safe to drink,” said Pastor Allen Overton, co-founder of Concerned Pastors for Social Action. “I joined this lawsuit because I no longer believe the City of Flint and the State of Michigan can solve Flint’s water crisis and return safe drinking water to our homes. For years the state told us we were crazy, that our water was safe, which wasn’t true. For the sake of my kids and the people of Flint, we need a federal court to fix Flint’s water problems because these city and state agencies failed us on their own,” said Melissa Mays of Water You Fighting For, a Flint-based organization. 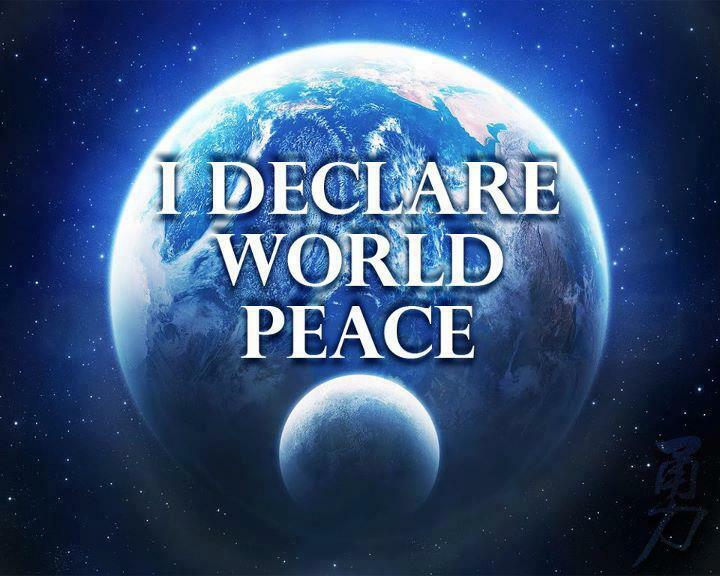 Indeed, a World War is being waged! covertly the Federal Reserve and the ESF. There is no denying, the Chinese and Russians have promoted and prepared for the dollar being dumped as the world’s reserve currency. They have set up non Western clearing facilities similar to SWIFT but without any Western interference, trade deals, currency hubs, trading banks, and even gold and oil exchanges where the dollar will not be required. Nothing speaks louder than actions, and add money to those actions then you know something MAJOR is happening! Who was in charge of the sniper team? Related to this question is the claim that some miscommunication occurred, and that the FBI and the Oregon State Troopers were part of this operation. Thus there is a need to know who was in charge, who gave the commands to engage and shoot an unarmed victim. Also who gave the command to cease fire? Was this a staged event? Regardless if anyone was wounded or killed, the likelihood of this being a staged event is very high! Because it takes time and coordination to place trained snipers in position, thus, I am convinced it was a staged and coordinated event. If it was staged then we really are facing deception of some kind and have no facts until we have access to the evidence and testimony of the individuals who were there at the time of the shooting and immediately after the shooting. Who transported the body of Lavoy Finicum from the scene? Where was the body delivered? Who transported the car Lavoy Finicum was in from the scene? Where was the car delivered? What weapons were used at the scene? How many rounds of ammo were expended? Those are some of the details the FBI will attempt to cover up. How can we verify any statements without evidence? Including the statements of who died? The fact that the FBI has placed a GAG order on this and not revealing any evidence yet is sounding many alarm bells for my suspicions. In the video my count was of 6 armed men (there could have been more armed men) pointing at one man, so it becomes problematic for 120 shots to have been fired. Important questions remain, such as was it staged? The video looks like a scripted Hollywood hit-men style organized crime murder scene. I wanted to quickly add this to what I wrote earlier, as the evidence is missing and hampers our ability to dig for the truth. Which is why I wish to wait long enough for factual evidence to be revealed before sharing my guesses and suspicions. Certainly too soon to draw any conclusions. More should be revealed in the days ahead. I share your suuspicions this is a staged event. Thank you for sharing your comment, and I hope your discussions help others to look for deception and fraud from the officials and agents in the influential institutions.